No one wants to struggle with crooked teeth. Yet the alternative – visible, uncomfortable metal braces – rarely sounds much better. That is why Invisalign has taken California by storm. Invisalign provides an invisible and more comfortable alternative to traditional metal braces. The Invisalign system uses a series of clear plastic aligners to straighten your teeth over time. These aligners act like clear braces, making it possible to straighten your teeth discreetly and comfortably. Invisalign is a great way to straighten mild to moderate crooked teeth. Dr. Chen uses his expertise, along with 3D imaging technology to create a series of between 18 and 30 aligners. Each aligner is worn for two weeks and moves your teeth incrementally, so by the final aligner you will have a beautiful smile without ever having to use metal wire braces. Discreet – Metal braces can be unsightly and visible every time you smile. Invisalign is discreet, and are very difficult to detect. No one has to know you’re using Invisalign unless you tell them. Removable – Traditional metal braces make it harder to brush your teeth, and can lead to tooth decay and gum disease. Invisalign can be removed briefly to brush your teeth or eat food. That also means there are no food restrictions. Smooth – Invisalign braces are smooth against your teeth and your lips. You don’t have to worry about cuts and discomfort from braces hitting the inside of your mouth. In addition, you won’t feel like you have to hide your smile, because the last thing you want to do is spend a year of your life hiding your happiness. Treatment time is about 9 to 15 months depending on where your teeth are located. 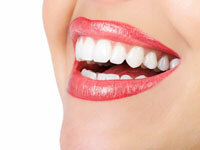 Would you like straighter teeth sooner? Ask about our 6 month smile system – a clear braces system like Invisalign that straightens teeth in only 6 months. Dr. Chen is an expert in Invisalign, and has been providing Invisalign braces to the Greater Sacramento area for many years. For more information about Invisalign or to schedule a consultation, please call our Folsom office at Esthetic Reflections in Dentistry Phone Number 916-983-6051. We'd love to hear from you!